PETER LORRE (Laszlo Lowenstein) was a Jewish Austro-Hungarian actor. At the age of 17 the young man ran away from home to become a stage actor. In 1929, with the small role of a patient in a dentist chair, he moved to the German Cinema as Adolph Hitler was slowly consolidating his power base. In 1931 in only his third motion picture. Lowenstein under his stage name of Peter Lorre shocked even Germany as Child Murderer "Hans Beckert" in director Fritz Lang's classic "M". This thriller was written by Lang and his then wife Thea Von Harbou. Lorre cannot help but steal each scene; he's a physically present actor, often, you feel, surrounded as he is by the pallid English, the only one in the room with a body." John Huston's 1941's "The Maltese Falcon"
and 1946's psychological horror thriller "The Beast with Five Fingers". 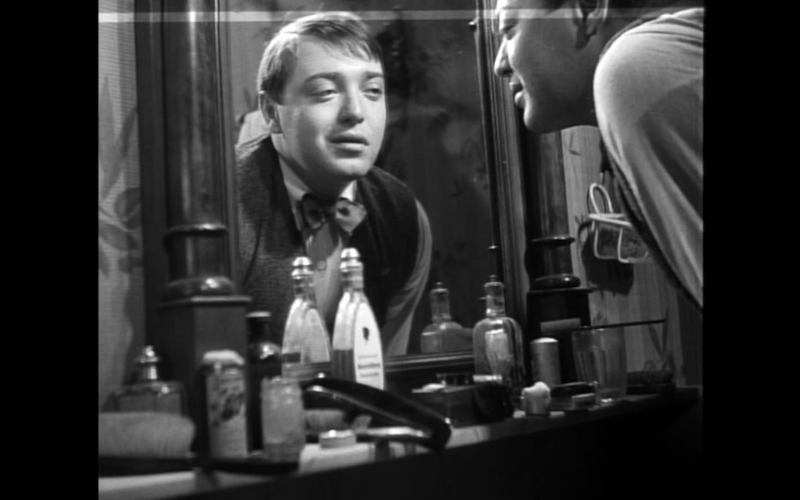 This article is not about the criminal and psychotic characters most people associate Peter Lorre with, but some of his roles always overshadowed because of those more recognized characterizations. I will be looking at several motion pictures over the actors career and some forgotten television appearances. All Illustrating the range of the real Peter Lorre actor. Hollywood for decades was discriminatory toward Native Americans and Asians in the pictures the industry turned out. Almost every leading speaking role was given to white actors. Such as Boris Karloff and Bruce Cabot portraying Native Americans in the 1936 "The Last of the Mohicans". The following link is a look at Native Americans in the Hollywood Film Industry. As to Asian roles I need to speak of three Oriental detectives seen on screen to actually start my look at the work of Peter Lorre. Back in 1926 the first motion picture, actually a chapter serial, about a popular fictional Oriental Sleuth was released. The film revolved around Chinese detective "Charlie Chan" and was based upon a series of novels by white author Earl Derr Biggers. In fact all three characters I am mentioning came from the pens of white authors creating stereotypical Asians. "Charlie Chan" would become a long running series ending in 1981 with 54 American made motion pictures. Also between 1937 and 1950 there were six "Charlie Chan" pictures made in China with Asian actors. The American films from 20th Century Fox had the Honolulu based detective giving advise, at times, in what critics described as "Fortune Cookie" sayings. The two actors most associated with the role were of course not Chinese. The first was Swedish-American actor Warner Oland, 16 films 1931 through 1937. He would be followed by American actor Sidney Tolar, 22 films 1938 through 1946. In 1937 Peter Lorre had become Japanese-American "Professor of Criminology Mr. Moto". 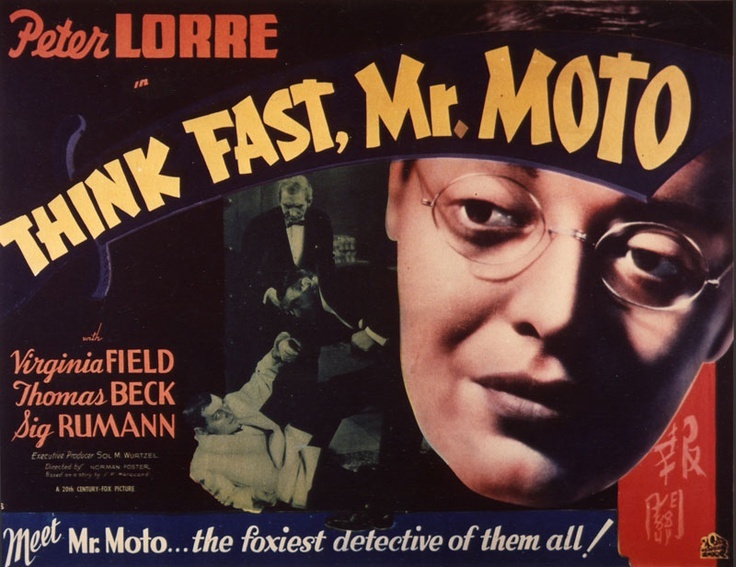 The first of eight features, 1937 through 1939, was "Think Fast Mr. Moto". It was based upon the 1925 novel "Your Turn, Mr. Moto" by author John P. Marquand. What was unusual for a series motion picture were the high production values given the feature by 20th Century Fox. Even larger than their "Charlie Chan" series. Lorre knew a white actor playing an Oriental character might be Hollywood's answer to every such ethnic leading role, but he brought a dignity to the character that had not be seen in the "Charlie Chan" series. This would also be shown by Boris Karloff as "Professor James Lee Wong". Although there were regularly placed comedians in the "Mr. Moto" films. 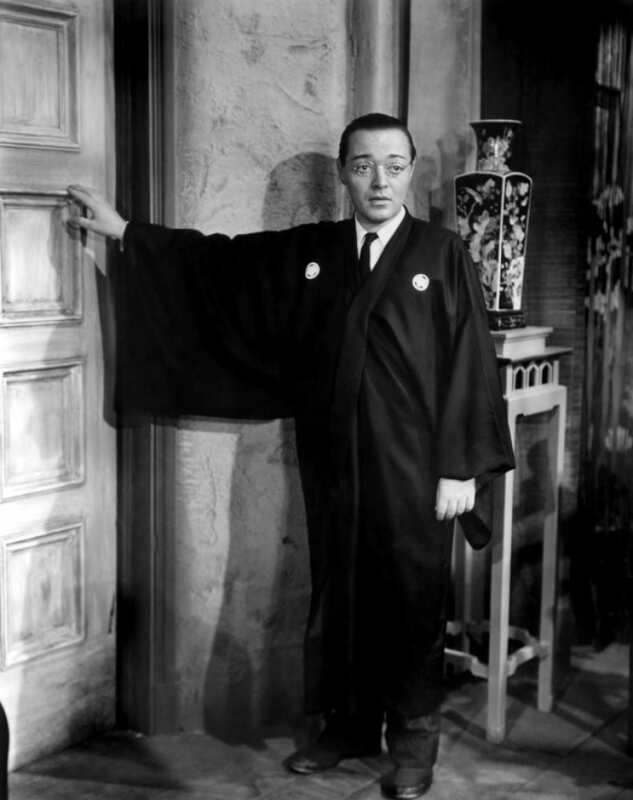 Peter Lorre's characterization of the Japanese Criminologist gave him a chance to use his comic timing and show audiences a different side to the actor. As opposed to what they had been seeing on screen in films like director Josef von Sternberg's version of Russian author Fyodor Dostoyevsky's "Crime and Punishment", or the two Alfred Hitchcock films I've already mentioned. As the above still shows. Lorre had no problem showing a mischievousness side to the serious teacher of Criminology. The third "Mr. Moto" film wasn't planned, but was created because of an actor's death. 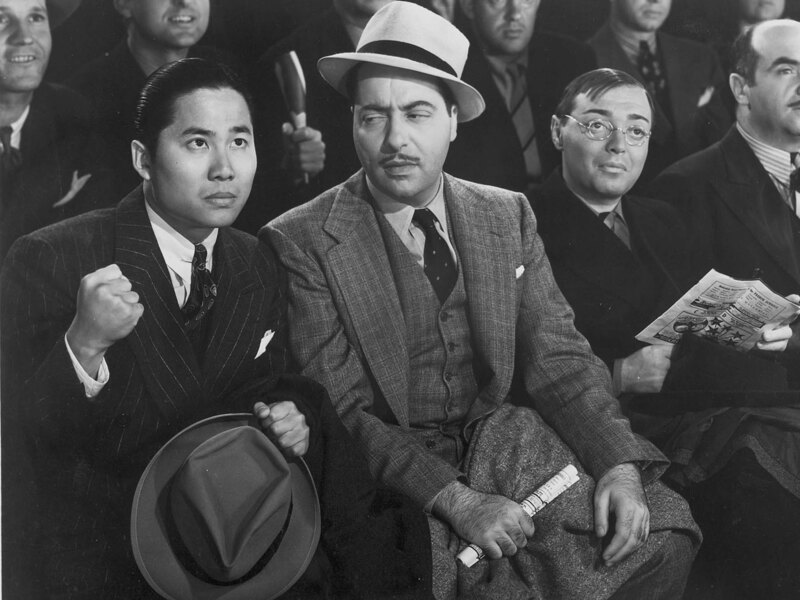 During the 1937 filming of "Charlie Chan at Ringside". 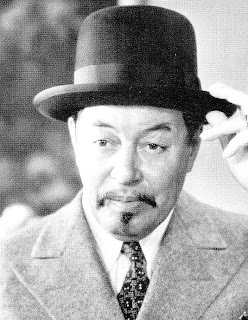 Warner Oland developed pneumonia and passed away while in the hospital. Instead of immediately finding a replacement for Oland as "Chan", with Lorre on the payroll, 20th Century Fox decided to change the film into a "Mr. Moto" entry. For "Mr. Moto's Gamble" the studio basically reshot all the scenes with Warner Oland, or mentioning "Charlie Chan". Replacing them with Peter Lorrie. One of the main characters in "Mr. Moto's Gamble" is very interesting, because of the film originally being a "Charlie Chan" entry.. Keye Luke is in the film still playing Warner Oland's son "Lee Chan". His appearance in the revised screenplay is explained by having "Lee", become a student in "Mr. Moto's" Criminology class at "San Francisco University". There's even a throw away set of lines between Lorre and Luke about "Mr. Moto" knowing who "Charlie Chan" is. In 1940 in a forgotten comedy crime caper motion picture "I Was An Adventuress". Peter Lorre was "Polo". He is the "Assistant" to the notorious thief "Andre Desomeaux" portrayed by director, not for this feature, and actor Eric von Stroheim. The two use a fake countess, played by Internationally known Norwegian ballerina Zorina, to help them with their next "mark" "Paul Vernay", Richard Greene. As the following poster indicates Zorina was the attraction and she is really in this movie to permit a 15 minute sequence from "Swan Lake" to be performed. The film is filled with comic touches especially by Lorre's "Polo". Who turns out to be a thief with a heart. After Zorina and Greene, naturally, fall in love. He returns the jewels and tricks "Desomeaux" into thinking he threw them overboard from the ship they're on at the film's conclusion. Thirteen years later Blake Edwards made a similar comedy crime caper with "The Pink Panther". 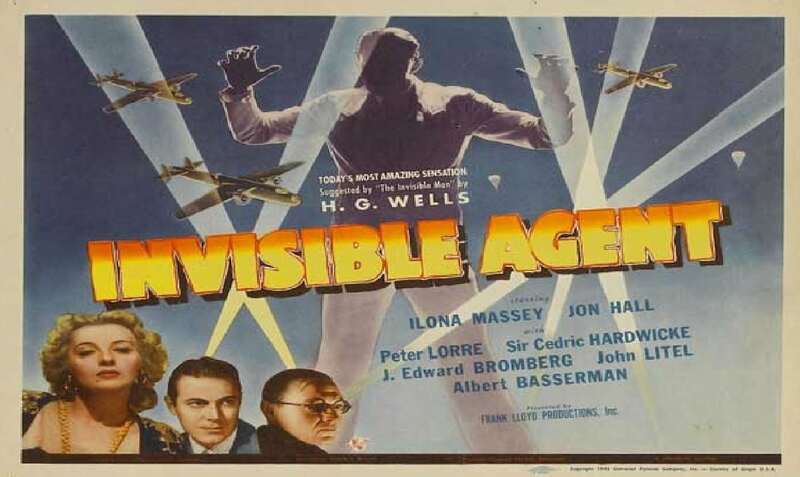 Released on July 31, 1942 with a script by Curt Siodmak was Universal Studio's "The Invisible Agent". Writer Siodmak was also a German Jew who left his country with his brother Robert. So the script is pure anti-Nazi, anti-Japanese propaganda. The picture co-stared Jon Hall as "Frank Raymond" the grandson of the original "Invisible Man". Peter Lorre is back in a Japanese role as "Baron Ikito", but this is no "Mr. Moto". Even if he looks exactly like him. "Baron Ikito is after the secret of invisibility with a German officer played by Sir Cedric Hardwicke. Lorre played the "Baron" very over the top by delivering his lines with a straight face and at others very restrained. Both making the role the opposite of the dignity he brought to "Mr. Moto". Today one has to also take this picture with a straight face. On September 1, 1944 Peter Lorre portrayed "Dr. Herman Einstein". 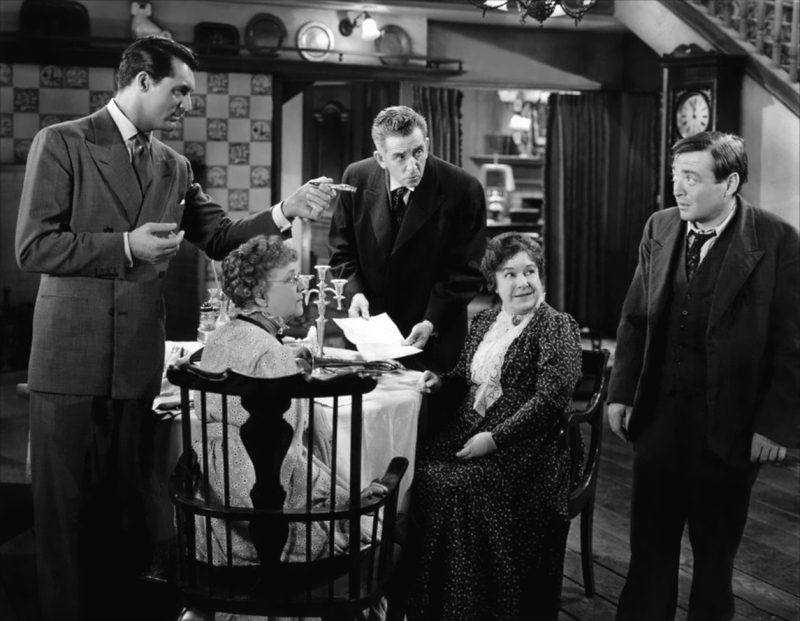 In Frank Capra's classic dark comedy "Arsenic and Old Lace' starring Cary Grant. The movie was actually filmed three years earlier, but had to sit on the shelf as they say. The original stage version was still playing on Broadway when Capra made his motion picture and the studio was not permitted to release the feature until the play closed. Nobody expected, least of all Capra, that it would be another three years before that happened. Lorre's "Dr. Einstein" is "Jonathan's" alcoholic plastic surgeon. Who is suppose to change his face from looking like Karloff. This is classic screwball comedy at its finest and Peter Lorre continued to eat up the scenes he was in from the other actors. Peter Lorre was "Kismet" and Lon Chaney, Jr. was "Willie". Both actors were doing comic parodies of themselves. In the case of Lon Chaney, Jr. it was "Lennie" from the 1939 film version of John Steinbeck's "Of Mice and Men". Maybe with a little bit of the monster from 1942's "The Ghost of Frankenstein" thrown in. 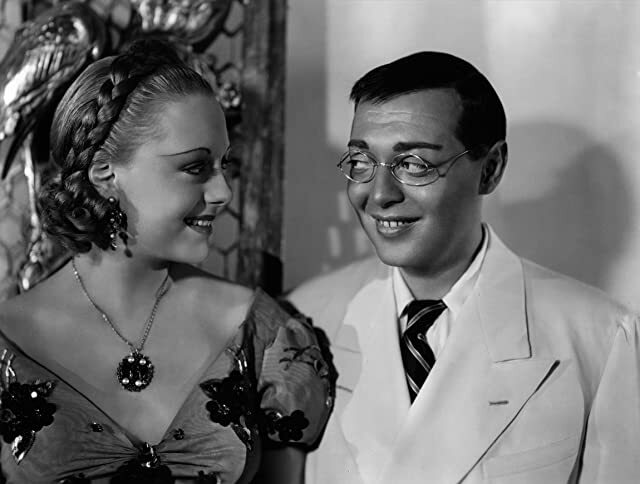 As for Peter Lorre just start with his name "Kismet" and you have to think of "Joel CARIO", if you got the inside joke. Just three years earlier Ronald Coleman and Marlene Dietrich starred in the extremely successful motion picture "Kismet". It was set during the "Arabian Nights" in "Baghdad". Which is the second largest city in the Arab World next to "Cario". Inside jokes and unexpected appearances were throughout "My Favorite Brunette". They included a cameo by Bob and Dorothy's "Road" picture co-star Bing Crosby and another by actor Alan Ladd. What Hope discovered was that Peter Lorre out comedian the comedian. Portraying a French Police Inspector. 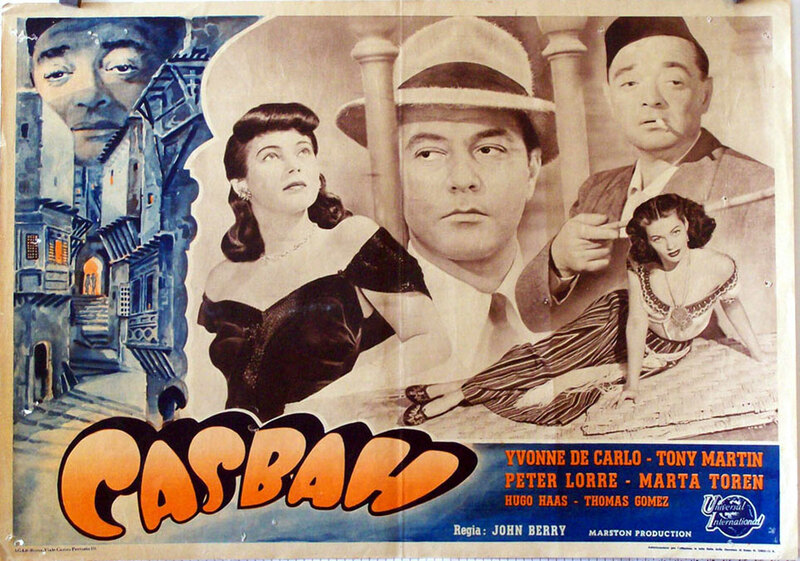 Peter Lorre appeared in the semi-musical drama "Casbah" in April of 1948 and no he did not sing, but the pictures star and producer was singer Tony Martin. Who did sing including an Oscar nominated song. The story had first been filmed first in France as 1937's "Pepe Le Moko". Who is the charming jewel thief the plot revolved around. The following year an American remake "Algiers" starred Charles Boyer and Hedy Lamarr, Both pictures were straight drama's. The backstory for "Casbah" was that popular singer Martin had been discharged in 1942 from the Navy being "Unfit for Duty". He had given a car to his superior to influence a promotion in rank. The Film Industry "Black Listed" him and he hadn't appeared in movies for years. Although his singing career flourished. Tony Martin wanted to make a motion picture again and acquired the rights to the story of "Pepe Le Moko" and turned it into a dramatic musical. The plot has the French police wanting to arrest "Pepe LeMoko", Martin. However, he stays in the safety of the "Casbah" a den of thieves and crooks. Every time the French Police arrest him. Their officers are stopped by the thieves from taking him out. The only way he can be captured theorizes "Detective Slimane", Lorre. Is by somehow getting "Pepe" outside that protection. "LeMoko" makes the fatal mistake of falling in love with a women who was sight seeing in the "Casbah" named "Gaby", Marta Toren. His jealous girl friend "Inez", Yvonne DeCarlo, tells "Slimane" that "Pepe" is going to the airport to leave Algiers with "Gaby", This leads to his death as the plane takes off without him. Sounds almost like a remake of the ending of "Casablanca", but with "Rick" getting killed. In March 1952 Peter Lorre made his first appearance on the new medium of television. The program had him playing "Robert Pratt" in an episode of "The Lux Video Theatre", but I can't find any description of what the program was about. The same can be said with his next television appearance on "Suspense" in an episode entitled "The Tortured Hand" in December. On year later on December 17, 1953 saw Peter Lorre in "Beat the Devil". The film initially bombed and lost money. The critics panned the film, but on November 26, 2000 Rodger Ebert added it to his "Great Movies List". 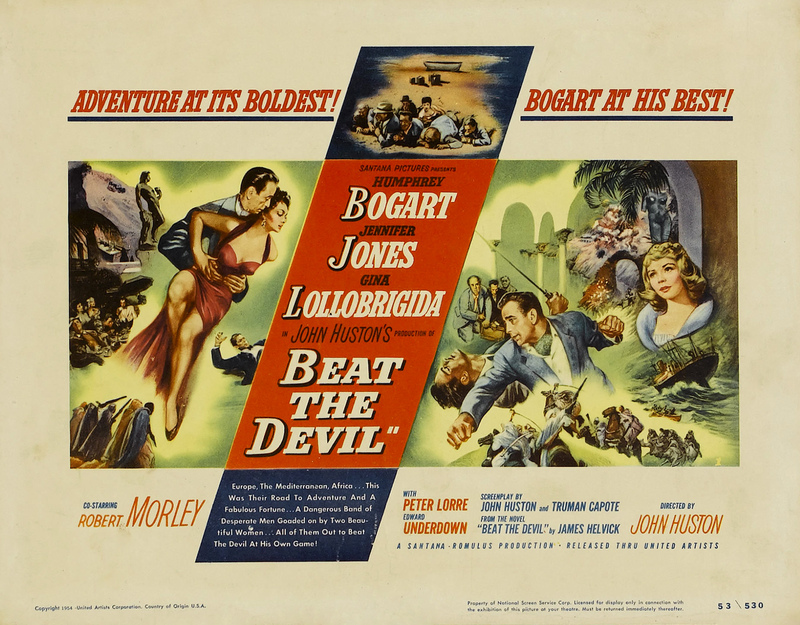 Calling "Beat the Devil" the first "Camp" film and the reason most people and critics didn't get it. 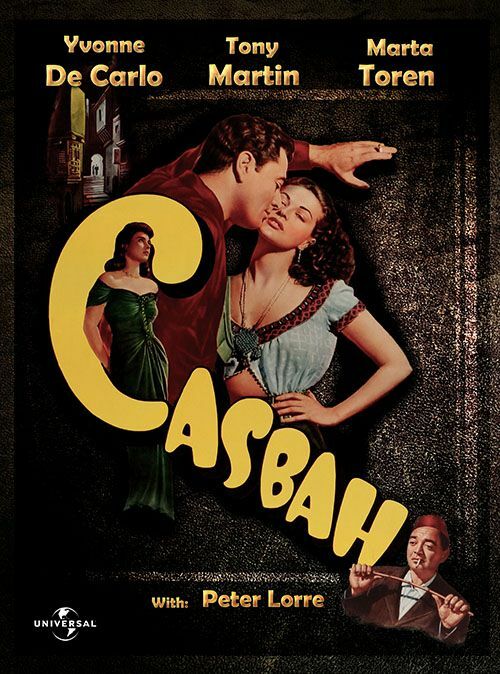 The movie was produced and directed by John Huston and the screenplay was by Huston and Truman Capote, It gets better. The co-producer who portrayed "Billy Dannreuther" was Humphrey Bogart. The character of "Mrs. Gwendolen Chem" was portrayed by Jennifer Jones. Bogart's wife "Maria Dennreuther" was Gina Lollobrigida and Robert Morley was "Peterson". Peter Lorre's character was "Julius O'Hara" and Pre-James Bond's "M" was Bernard Lee as "Inspector Jack Clayton". John and I decided to kid the story, to treat it as a parody, Instead of another Maltese Falcon, we turned it into a... (Spoof)...of this type of film. I must mention a purely dramatic performance by Peter Lorre on "Live" Television. This was the third production, October 21, 1954, during the first season of the anthology series "Climax". In it Lorre has the distinction of becoming the FIRST JAMES BOND VILLAIN in Ian Fleming's "Casino Royale". In his first of three appearances in a motion picture based upon the works of French author Jules Verne. Peter Lorre portrayed "Conseil" in Walt Disney's "20,000 Leagues Under the Sea" released December 23, 1954. The most expensive Disney movie to date at $5 million dollars was also the most elaborate. It would have a world wide box office of $28.2 million upon release. 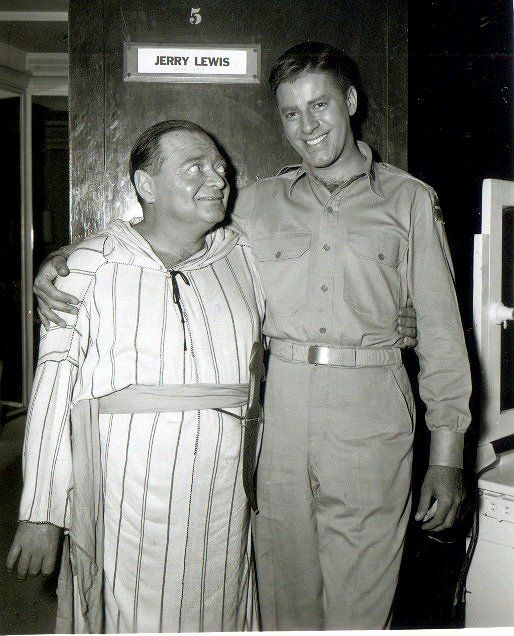 The role of "Professor Aronnax's", Paul Lukas, apprentice gave Lorre a chance to show the full range of his acting talents from drama to comedy. 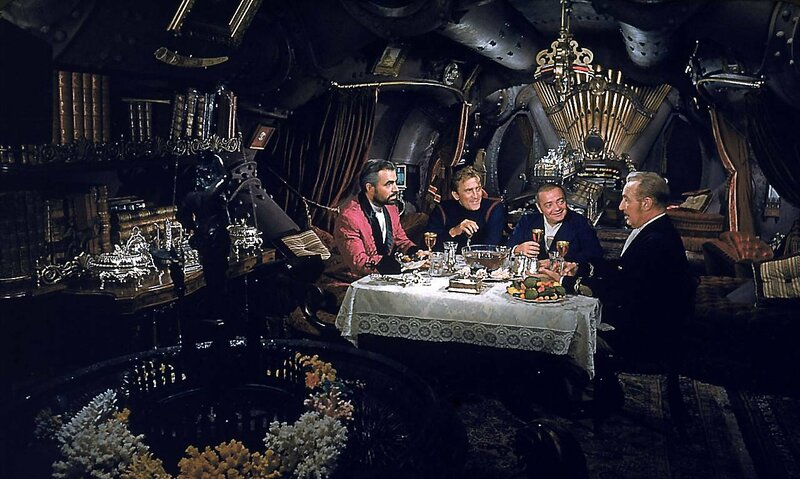 Opposite Kirk Douglas as "Ned Land" and an unforgettable performance by James Mason as "Captain Nemo". 13 days later Lorre was again on "Live" television on the program "The Best of Broadway" recreating his role of "Dr. Herman Einstein" in "Arsenic and Old Lace". 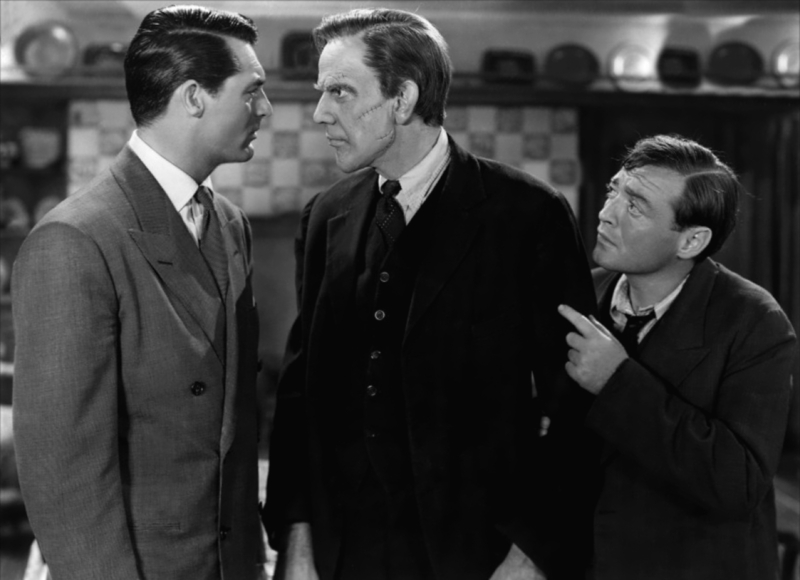 Comic actor Orson Bean was "Mortimer", but this time Peter Lorre was working with Boris Karloff as "Jonathan". Also in the cast was John Alexander recreating his original movie role of "Teddy Brewster", Billie Burke, "Glenda the Good Witch" from "The Wizard of Oz" was "Aunt Martha" and "The First Lady of American Theatre" Helen Hayes was "Aunt Abby", Like most of the early "Kinescope" recordings of television shows this one appears also lost. This link take my reader on a look at the process and some of those early and forgotten programs. Eddie Cantor was an entertainer going back to Vaudeville and in 1917 "The Ziegfeld Follies". He went to weekly radio broadcasts and eventually had "The Eddie Cantor Comedy Theater" on television. On May 2, 1955 Peter Lorre appeared in an episode entitled "The Sure Cure". I could not locate stills, or a plot. However, we do know Lorre portrayed "Ambrose Dodson" in this live comedy presentation. There were only two other actors, besides Cantor, in the presentation.One was Nester Pavia, "Lucas" in both "The Creature from the Black Lagoon" and "Revenge of the Creature". He was also the "Sheriff" in "Tarantula". The third actor was Jesse Tucker apparently a regular on Eddie Cantor's program. There is no other information available on him. 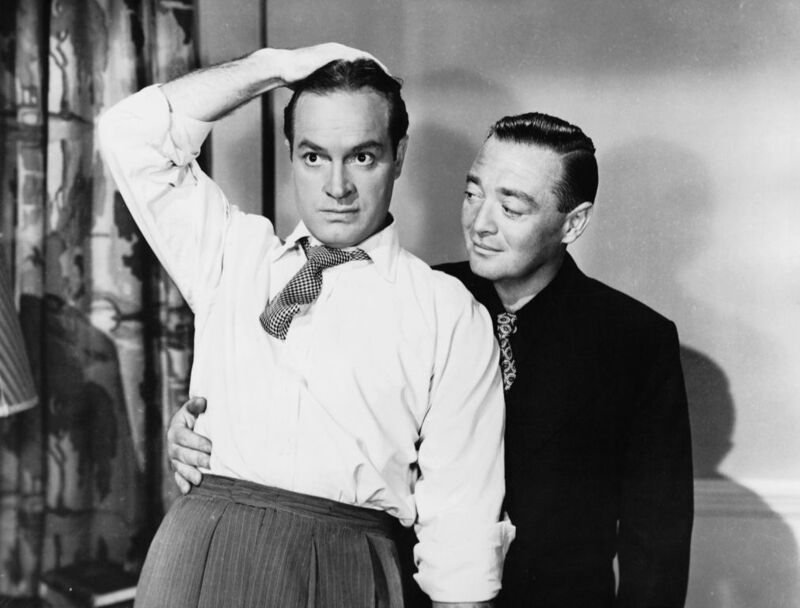 On November 29th Peter Lorre appeared in the first of seven shows through May 24, 1960 on the "Red Skelton Comedy Hour". This first show was entitled "Phantom of the Ballet". Below is the only photo I could locate. 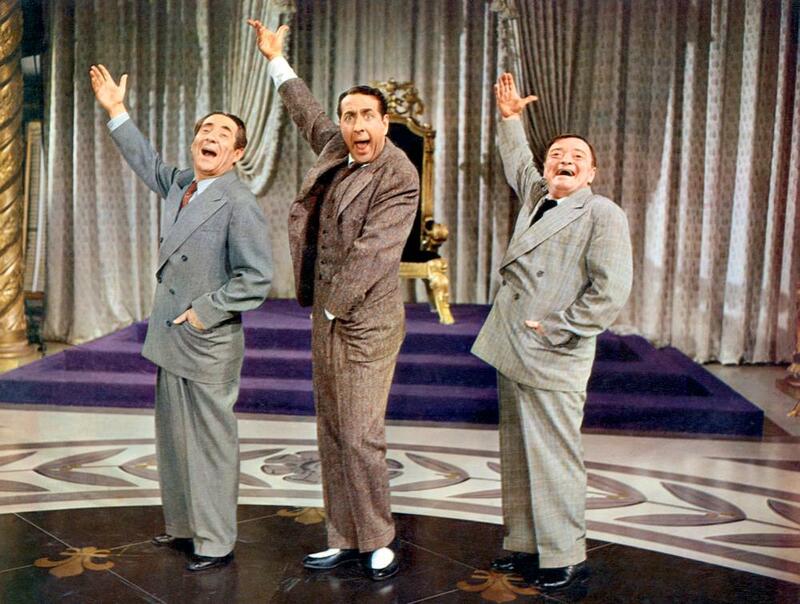 Lorre is on the far left and Skelton on the far right. Two other roles Lorre portrayed for laughs for Red Skelton were those "Typical Performances" as "A Mad Scientist" and "Boris-the Chief Spy". 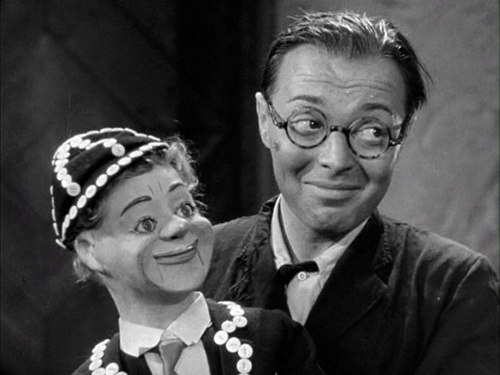 Below Peter Lorre also on the program from November 17, 1959 entitled "Appleby and the Weatherman" talking to Red Skelton. On October 17, 1956, one day after my 10th birthday, the first motion picture in the TODD-AO large screen format was released. 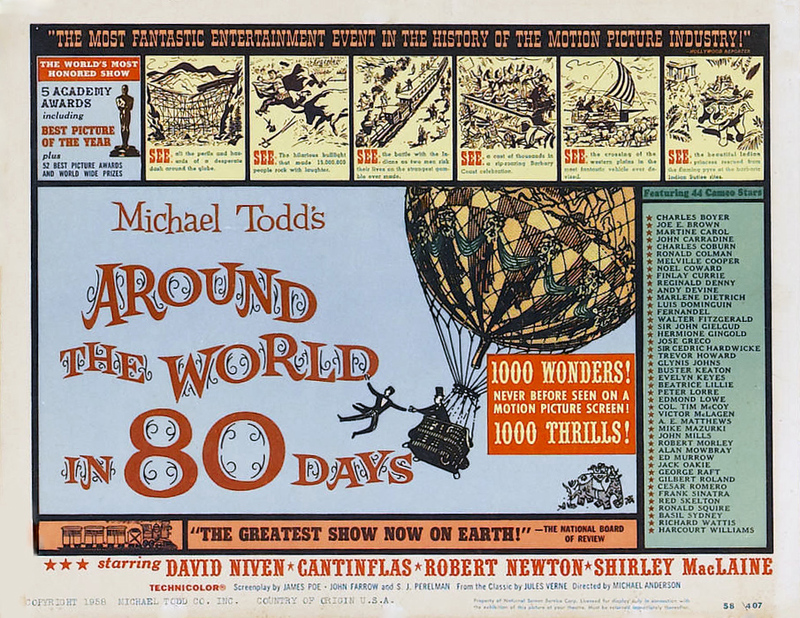 Created by Michael Todd, the husband of Elizabeth Taylor, "Around the World in 80 Days" was Peter Lorre's second Jules Verne film appearance. Even if it was a very small part. It should be noted that the movie had only four major characters portrayed by David Niven, Cantinflas, Robert Newton and Shirley MacLaine. Everyone else in the film was seen for a few seconds to a few short minutes. The following poster came out for the "General Release" not in the Todd-AO process. 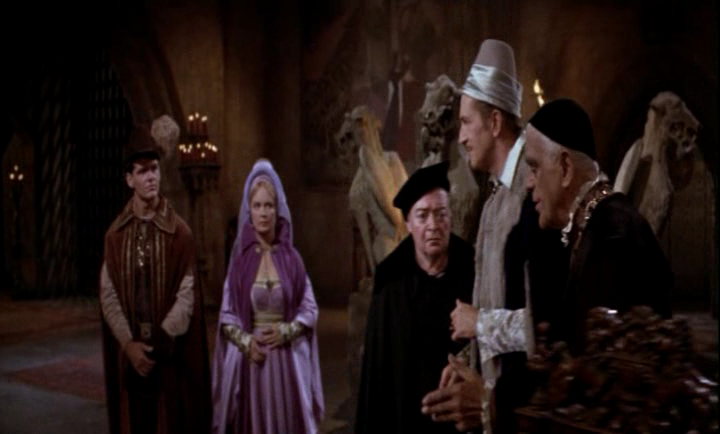 On the far right are listed 44 "Cameo" appearances by actors such as Frank Sinatra, Gilbert Roland, Noel Coward and Peter Lorre..
Today the term "Cameo Appearance" is common place, but prior to Mike Todd's motion picture there was no such thing. In the movie program I purchased for one 1956 dollar. There was a section showing photo's and brief comments of all 44 additional actors.. To keep in the spirit of 1872 when the film takes place. Michael Todd placed all of them in what was known as a "Cameo Frame" and as a result the term "Cameo Appearance" was born. As to the role Peter Lorre had. He was the "Japanese Steward on the SS Carnatic" that Mexican Comedian and Actor Cantinflas find himself. On July 18, 1957 the motion picture version of the highly successful Broadway Musical Comedy "Silk Stockings" was released. The film starred Fred Astaire and Cyd Charisse. The original Broadway musical was based upon the 1939 motion picture comedy "Ninotchka" starring Greta Garbor and Melyvn Douglas. The plot has three Russian agents sent to Paris to bring a composer back to the glorious Soviet Union. Instead the agents are corrupted by movie producer "Steve Canfield", Fred Astaire, with the delights of Paris and an offer of roles in his up coming motion picture. "Canfield" needs the composer to write the musical score for his planned motion picture. Having lost contact with the three agents. The Head of Soviet Intelligence sends his top agent and "Fervent Communist" "Ninotchka Yoschenko", Cyd Charisse, to bring all four men back. She becomes a challenge to "Canfield" and of course the two fall in love. The film has some great music and dances between Charisse and Astaire. Peter Lorre was "Brankov" one of the three Soviet Agents sent to bring back the composer. He's funny and this time he actually gets to sing and dance. 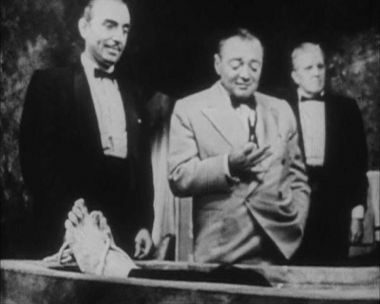 The other two agents starting to Lorre's left, below, are Jules Munshin and Joseph Buloff. After his much publicized break-up with Dean Martin. 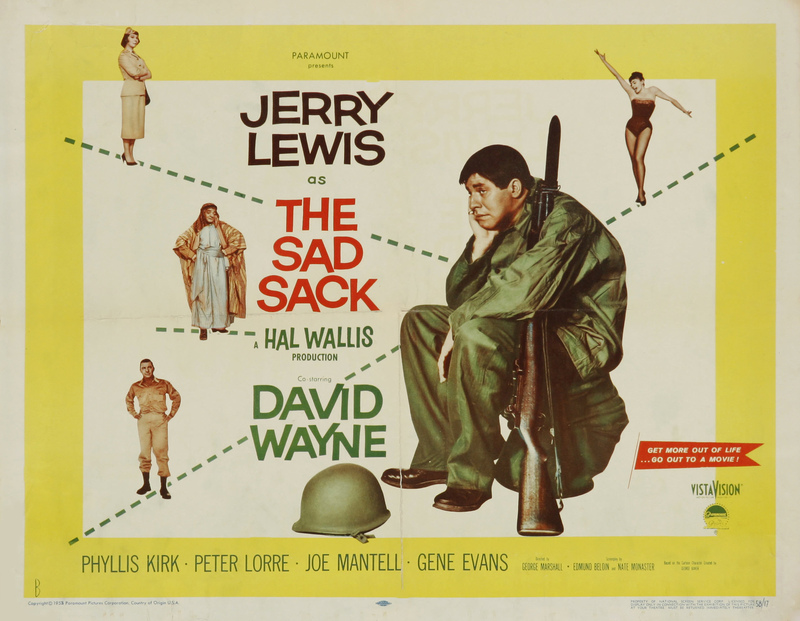 The second solo motion picture made by Jerry Lewis was "The Sad Sack". Originally released on November 27, 1957. The screenplay was based upon a popular Harvey Comics character and Lewis played the bumbling Army Private "Meredith C. Bixby" of the title. 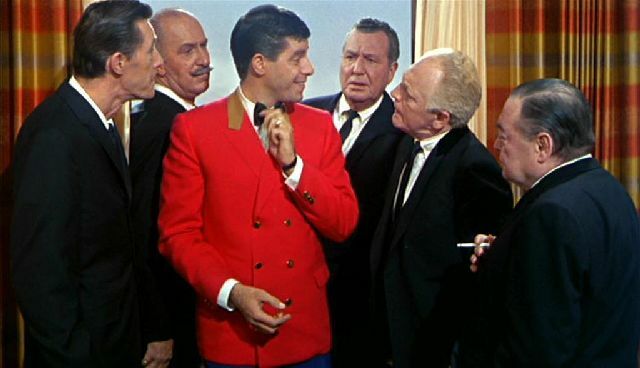 The role was similar to the character Jerry Lewis played opposite his then partner Dean Martin in 1952's "Jumping Jacks". "Bixby" has been assigned to a post in Morocco where he's kidnapped by "Arab Renegades". 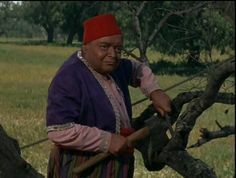 Peter Lorre plays his guard "Abdul" out to get him to assemble a stolen canon. In reality Lorre seemed to take the place of Dean Martin in the interplay with Lewis. 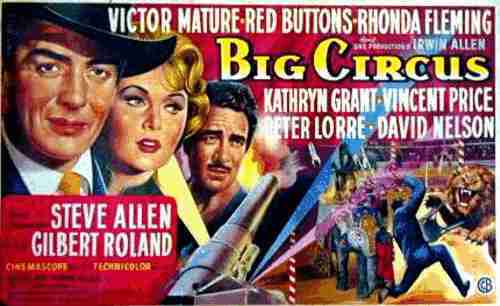 Producer Irwin Allen decided he was going to do a Cecil B. DeMille with his version of 1952's "The Greatest Show of Earth" called "The Big Circus". Where DeMille had an disgruntled employee who wrecks the circus train and a police officer looking for a doctor accused of murdering his wife. Allen's all star cast had only had an unknown saboteur and a high wire walk across Niagara Falls. The feature was released July 5, 1959. 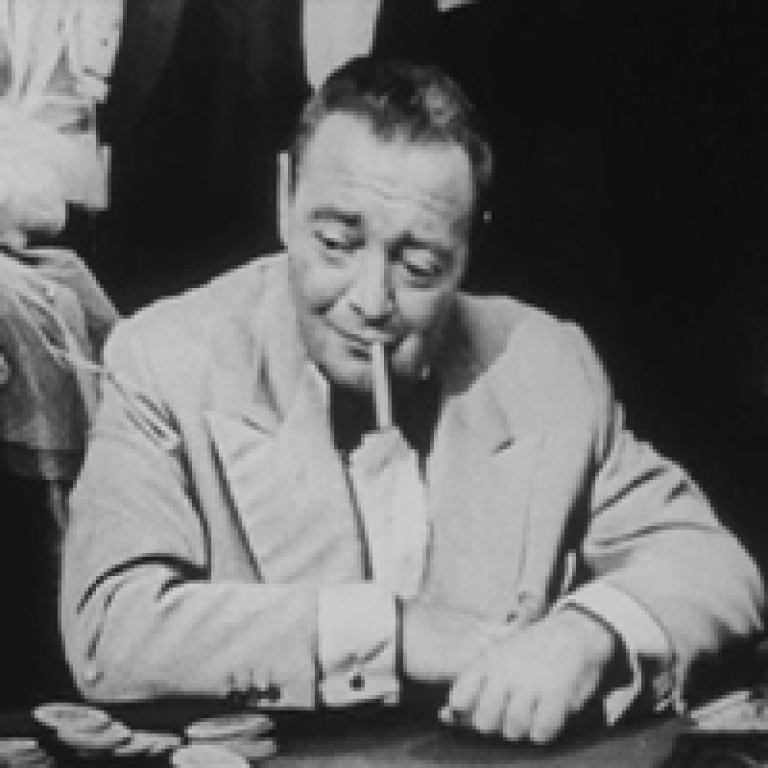 In the motion picture Peter Lorre was "Skeeter" the clown. Again the role gave the actor a broader canvas to show his talent both in and out of make-up as he helps Circus Owner Victor Mature track down the saboteur. 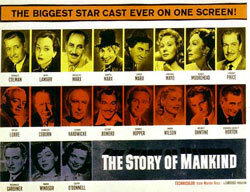 Lorre had appeared in Producer Allen's all star cast "The Story of Mankind" two years earlier. The plot has the "Devil", Vincent Price, who else, putting "Mankind" on trial after we have invented the "Super H-Bomb". The human race is defended by "The Spirit of Man", Roland Coleman, as the audiences sees sequences throughout our history. 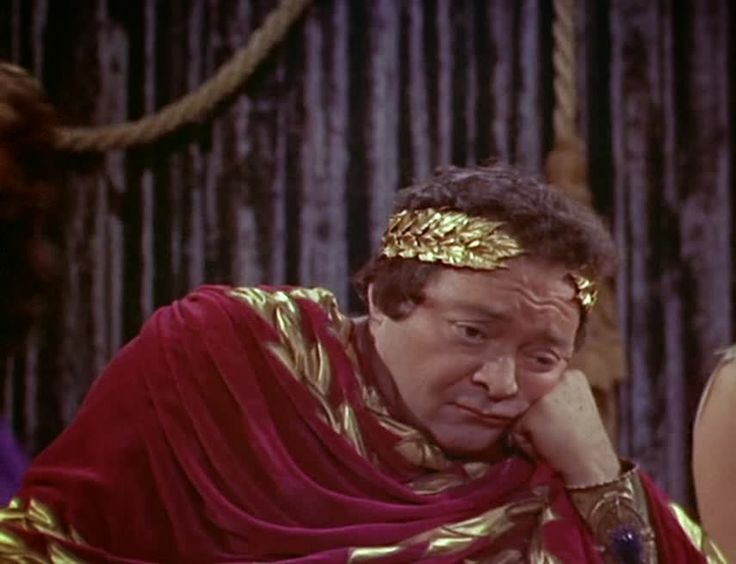 In the 1957 motion picture Peter Lorre played "Nero" in one of the segments. During 1960 Peter Lorre appeared twice in a television genre my reader might not have expected from the actor, the WESTERN!. First he was the title character of "The Alexander Portlass Story" on "Wagon Train". This episode first shown on March 16th has him as a man searching for the Lost Aztec Treasure of Montezuma. Then on November 11th Lorre was "Victor Laurier" in the "Incident of the Slavemaster" on "Rawhide". 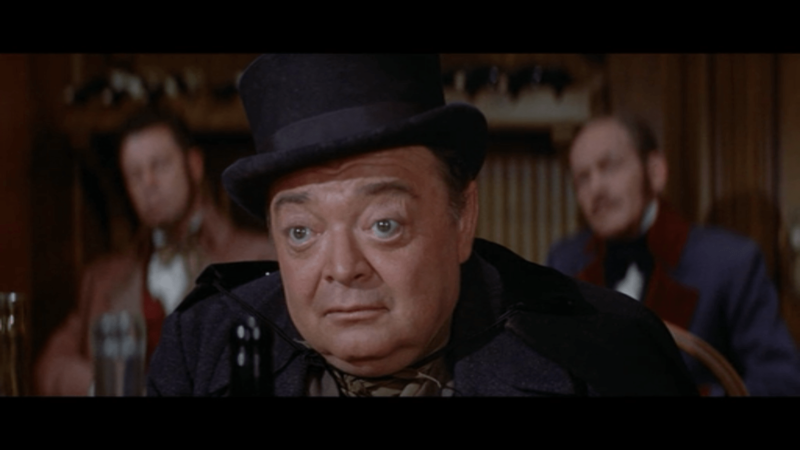 Peter Lorre would follow these Westerns by becoming "Naval Commander Lucius Emery" in the popular Irwin Allen science fiction motion picture "Voyage to the Bottom of the Sea". Released on July 12, 1961, Lorre and "Forbidden Planet's" "Dr. Moribus", Walter Pidgeon. Attempt to put out the Van Allen Radiation Belt that has caught fire and is destroying the Earth. Next with just a hint of dark comedy the actor portrayed "Montresor Herringbone", love that name, in "The Black Cat" segment of Roger Corman's "Tales of Terror". Three tales based upon Edgar Allan Poe that along with "The Black Cat" included "Morella" and "The Facts in the Case of M. Valdemar". 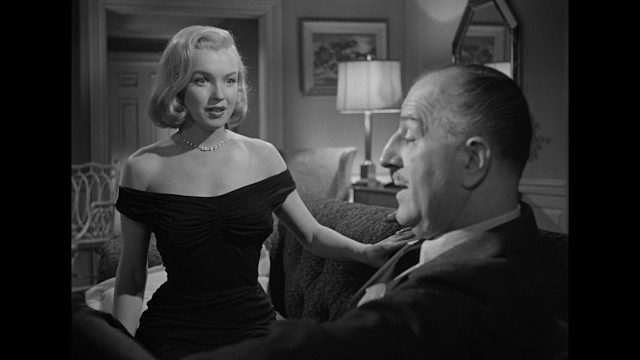 In his tale, Lorre's unfaithful wife "Annabelle", Joyce Jameson, has a black cat that "Herringbone" hates. He walls up his wife and her lover "Fortunato Lichresi", Vincent Price, but also the cat. It is the cat's wailing that causes "Montresor" to be caught. 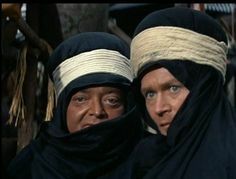 There nothing like a conniving Arab slave trader and especially when he's played for laughs by Peter Lorre in his third Irwin Allen motion picture. Which just happened to also be Lorre's third Jules Verne tale "Five Weeks in a Balloon". Looking at the above balloon gondola. 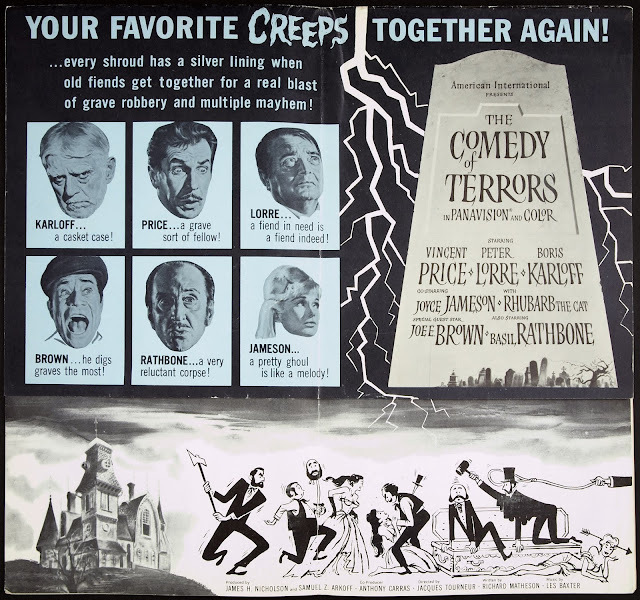 It is hard to believe it would hold in this comedy adventure film Red Buttons as "Donald O'Shay", Fabian, who does sing the title song, as "Jacques", Barbara Eden as "Susan Gale", Sir Cedric Hardwicke as "Fergusson", Richard Haydn as "Sir Henry Vining", Barbara Luna as "Makia" and of course Peter Lorre as "Ahmed". All helping to claim, in 1862, some uncharted land in West Africa for Great Britain. January 25, 1963 started the year off with a few belly laughs. Author Richard Matheson, "I Am Legend", "The Incredible Shrinking Man" and "Legend of Hell House", had been writing the screenplays for Roger Corman's Edgar Alan Poe series since 1960's "House of Usher". They were all basically series adaptations of Poe's tales. Roger Corman turned him loose and he wrote a comedy. The movie was called "The Raven" and besides turning loose Matheson. 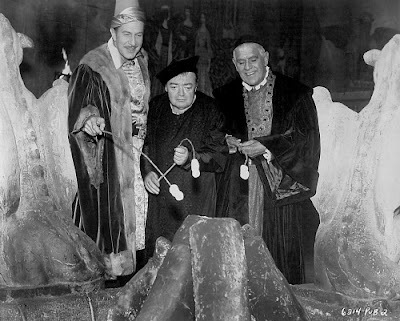 Roger Corman turned loose his three stars Vincent Price, Boris Karloff and Peter Lorre as dueling Sorcerors. 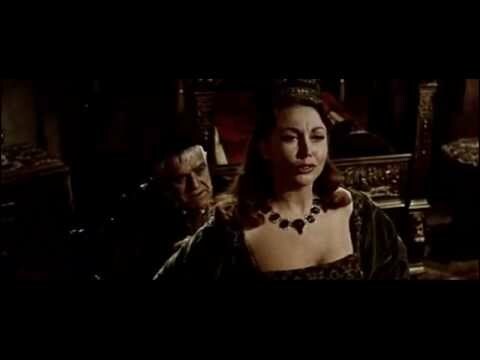 British actress Hazel Court, seen in Hammer Film's 1957's "Curse of Frankenstein", Corman's "The Premature Burial" and after this film his classic would be in "Mask of the Red Death", played Price's wife. Who runs out on him and claims to be in love with Karloff. Playing straight man to the three horror stars was an up and coming young actor named Jack Nicholson as Lorre's son. The Good, The Evil and the Confused. When we first meet Peter Lorre as "Dr Adolphus Bedlo". He has been turned into "The Raven" of the movie's title. I could not find any stills of Lorre and so I made the following picture off the trailer. You can see at least the feathers of his full "Raven's" body with only his head still human looking. The result of the good "Dr. Eramus Craven", Vincent Price, not quite getting the formula right to change Lorre back completely to his normal human form. If you hadn't picked up from the dialogue prior to this scene. You know at this point the film is being played for laughs. The villain of the piece is "Dr. Scarabus" played by Boris Karloff of course. Below Peter Lorre and Jack Nicholson as father and son. The film's climax is a duel to the death (? ), not quite, between Price and Karloff. How does one relax on a Roger Corman set? Why toasting marshmallows is a good way for a publicity still. This Corman film was followed by another "The Comedy of Terrors". Which premiered in Detroit, Michigan on December 25, 1963 as a sort of Christmas present. Like during the filming of "The Raven". 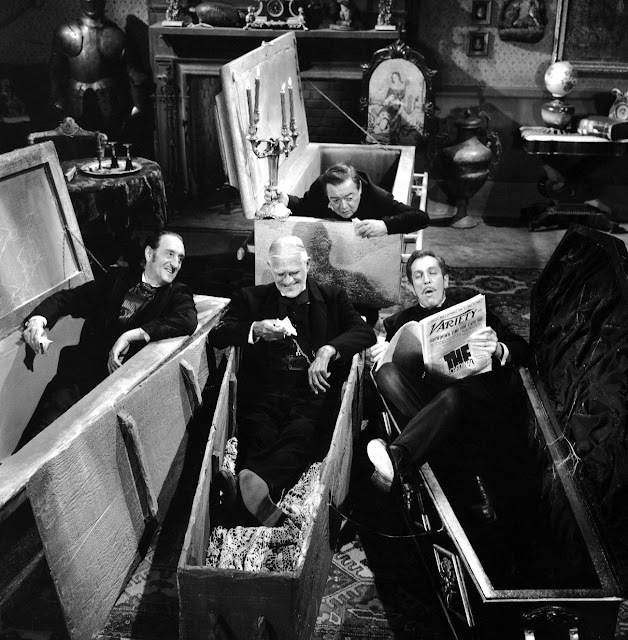 Peter Lorre and his co-stars Basil Rathbone, Boris Karloff and Vincent Price liked to relax on the set between takes. The film was set in 19th Century New England in a town called New Gilead. 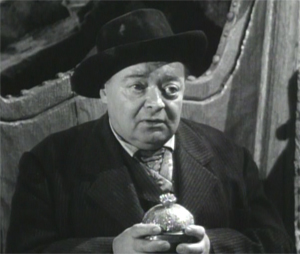 Price portrayed an unscrupulous undertaker named "Waldo Trumball" and Lorre was his reluctant assistant "Felix Gillie". Richard Matheson came up with the original story and screenplay. Look at the following Lobby Card and it was obvious that Boris Karloff as "Amos Hinchley" was not well. He was unable to do the role as originally conceived. Basil Rathbone portrayed "John F. Black, Esq.". Like Karloff the role of "Felix Gillie" required a lot of stunt work that Peter Lorre could not perform anymore. So stunt man Harvey Perry wore a full Lorre mask to perform the stunts. Below Vincent Price with that Peter Lorre mask in a publicity still. Three months earlier on August 7, 1963 a movie opened from American International Pictures starring Bob Cummings, Portraying an anthropologist who is secretly studying what he calls the "wild mating habits" of Southern California Teenage Surfers. 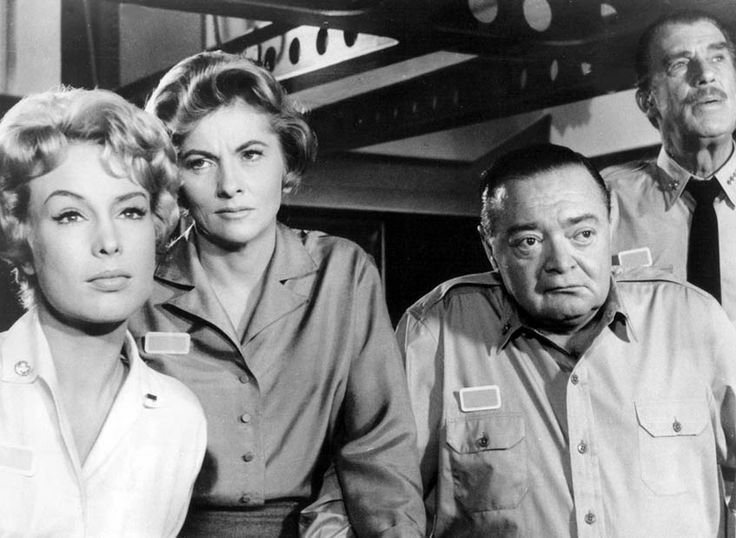 His co-star was Dorothy Malone as his secretary/assistant. 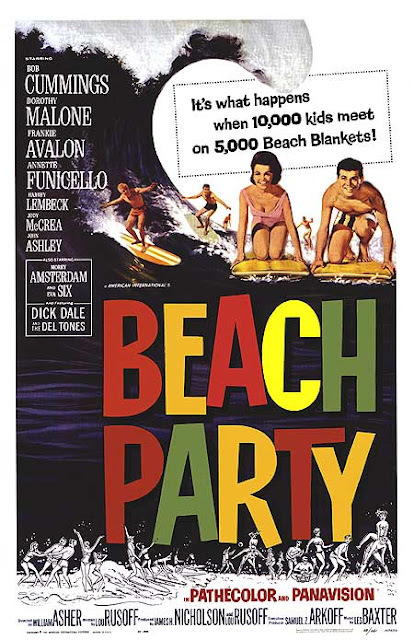 However, it was the third and fourth billed actors that became the real stars of "Beach Party". They were teen heart throb/singer Frankie Avalon and ex-Mouseketeer Annette Funicello. Who being still under contract to Walt Disney was not permitted to wear a bikini like the other girls. This was Walt's way of keeping her "Family Image" intact. What happened was because Annette was the only girl in a full old style swim suit. The young male viewers, me included, thought she looked sexier. Go figure? Throughout "Beach Party" sleeping in a corner of "Cappy"s", comedian Morey Amsterdam's, Surfer Hang-out is the Legendary Surfer "Big Daddy". He's heard from time to time snoring away and a straw hat covered his dace. there's Vincent Price creating a gimmick that would run through the entire seven movie series of surprise cameo appearances. 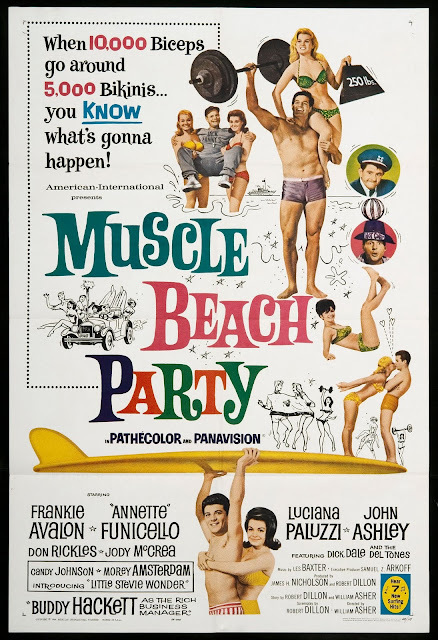 "Muscle Beach Party" was the second movie and it premiered on March 25, 1964. The two leading actors were now Frankie Avalon and Annette Funicello. 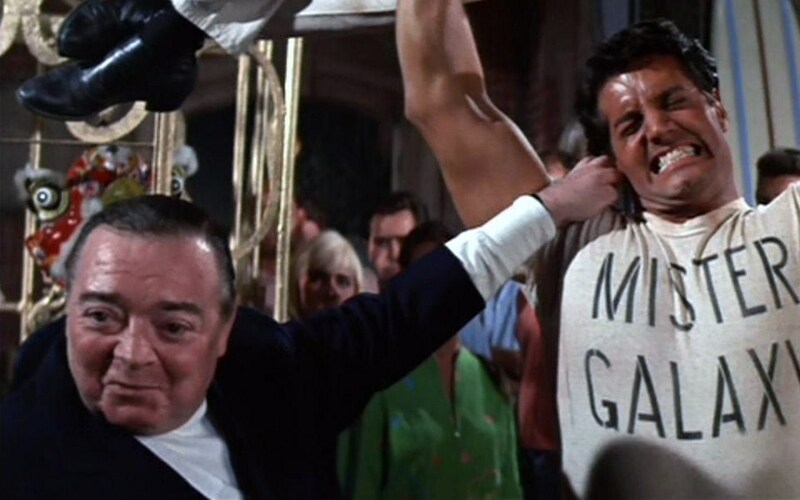 One of the subplots revolves around a battle for the limited beach front between "Jack Fanny's", Don Rickles, body builders and the Teenage Surfers led by Frankie and Annette. Morey Amsterdam is back with a newly rebuilt "Cappy's" and the picture ends with another fight between those two groups. Throughout the movie is a reference to a famous strongman and the father of "Mr Galaxy" played by pre-"Mission Impossible's" Peter Lupus. Lupus was billed as "Rock Stevens". After the fight "Mr/ Galaxy's" father, "Mr. Strangdour", appears and takes his son by the ear and leads him out of what is left of the new "Cappy's". 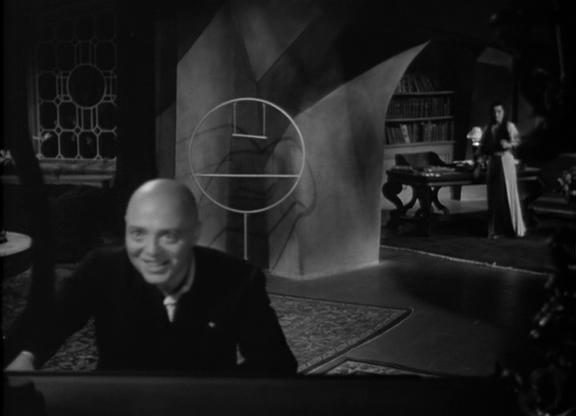 This time the surprise cameo was Peter Lorre. For those of you who never saw the picture. You have to imagine the image of the 5 Foot 3 Inch Lorre overpowering the 6 foot 4 Inch Lupus and leading him out, as the following still shows, by just holding onto his right ear. "Muscle Beach Party" was followed by Peter Lorre's final motion picture and another Jerry Lewis starring vehicle. The feature released August 12, 1964 was "The Patsy". 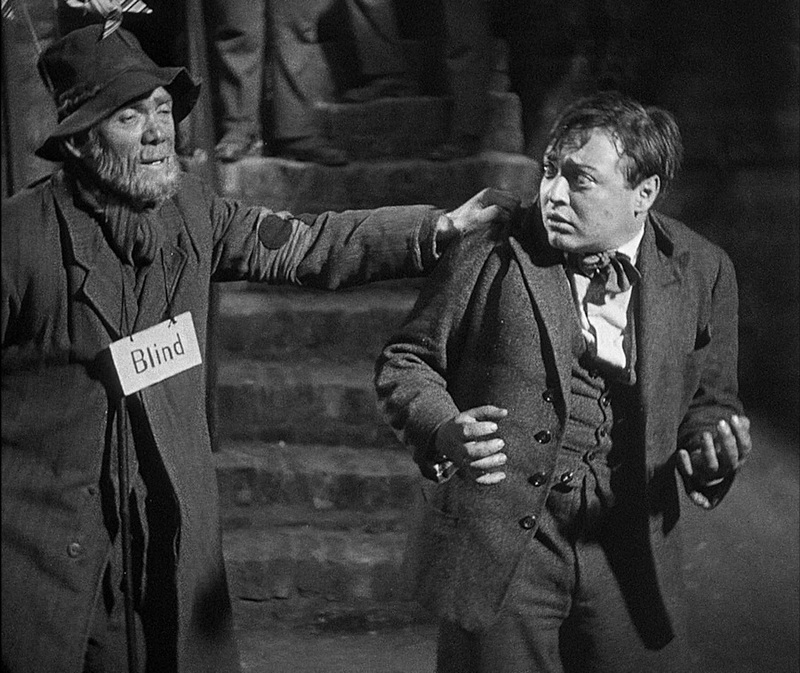 Peter Lorre was one of many recognizable older actors that were seen in this motion picture. The plot is about a major comedian who is killed in a plane crash. His managers need a meal ticket and the group decide to make a Bell Boy, at their hotel, their "Patsy" to replace the comedian. Two points about this movie. 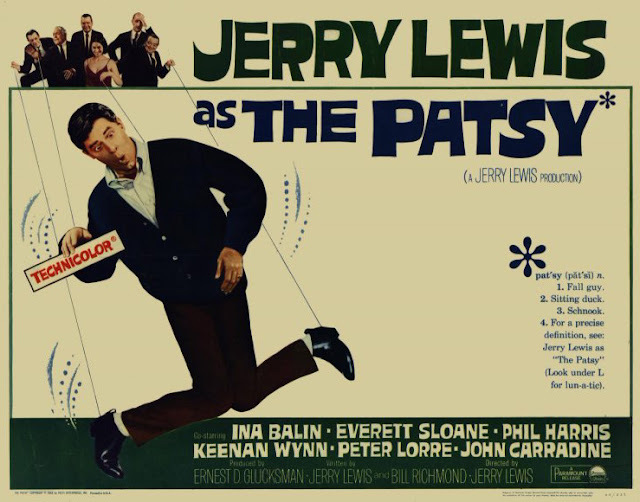 The first was Jerry Lewis played a character named "Stanley Belt" in "The Pasty". Four years earlier Jerry Lewis played a character also named "Stanley". Who was the title character of his movie "The Bellboy". There are many other similarities to the way both characters were played by Lewis. The second point was that Peter Lorre never saw the finished motion picture. Sadly the actor had passed away from a stroke on March 23, 1964. Vincent Price read the eulogy at Lorre's funeral. 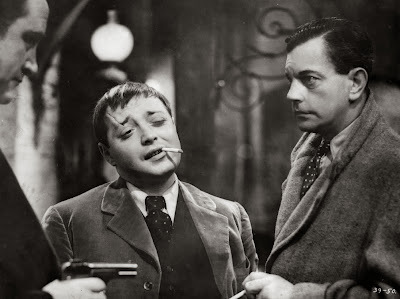 I hope my readers might seek out some of the other works I've mentioned by Peter Lorre. Rather than keeping him "Type Cast" as a "Joel Cario" from "The Maltese Falcon", or ""Ugarte" from 'Casablanca". Below a Warner Brothers "Daffy Duck" cartoon featuring "Peter Lorre".